A survey by technology site says about 16 per cent of Indian users regularly tweet to get news updates. 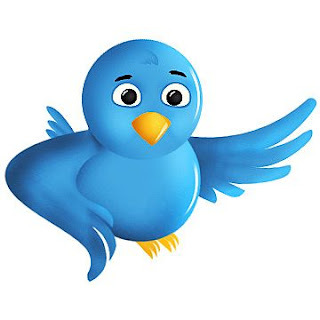 Twitter may have gained immense popularity as a microblogging website in India. 11 per cent use it to stay in touch with their friends, 10 per cent use the website for research purpose, according to the survey. Analysts attribute the recent surge in its popularity in India to the controversial 'cattle class' tweet by Union minister Shashi Tharoor, who is an active Twitter user with nearly 3 lakh followers, arguably the largest in the country. The social networking site, launched in 2006 by Jack Dorsey, came into prominence in the country during the 26/11 attacks when eyewitnesses sent an estimated 80 'tweets' every five seconds, helping in compiling a list of the dead and injured. 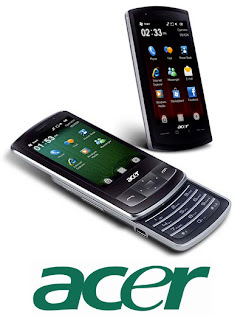 Acer announced the launch of three new smartphones, beTouch E 101, beTouch E200 and neoTouchS200 In the Indian market. The smart phone market in India is getting accessible to many with prices coming down. 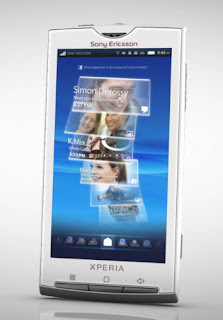 Sony Ericsson unveiled its new and first Google’s Android operating system X10 flagship mobile phone on Tuesday. Android has gained a lot of traction this year as handset vendors look for ways to beat Apple's iPhone. Loss-making Sony Ericsson, the world's fourth largest handset maker, has suffered since 2008 from a lack of attractive high-end models in its offering, and saw overall third-quarter sales shrink 45 percent year-on-year. Sony Ericsson's current top model Satio, with a 12 megapixel camera, has just gone on sale and the announcement could hurt sales in the key sales period ahead of year-end holidays. Milanesi said that It was a difficult call to make trying not to negatively impact products like the Satio ... while at the same time announce something that will persuade consumers not to go to another brand. The X10 will have a 4-inch-wide touch screen. It uses Qualcomm's Snapdragon processor, and come with an 8.1 megapixel camera. To buy a quality and stylish eyeglasses, Zenni Optical is the right place to overcome our muddle. It is the place to get your prescription glasses for your specialty needs. Zenni Optical is the leader of high quality and stylish prescription eyeglasses. Here they offer $8 Prescription Zenni Glasses. Certainly, this is the site where you can buy a stylish prescription eye glasses at affordable price. There are so many greatest varieties of designs and also they update the every New Arrivals. Each and every design is of so many varieties and so many colors that make the selection more confusing. In Holiday Fun Eyeglasses section you can find the eye glasses which is so fashionable and stylish. When it comes to traveling, most of the people would like to take the necessary precaution. For old people while traveling they will get some pain such as back pain, neck pain, shoulder pain, etc. These pains may be so severe in some time which may interrupt them from their daily activities. To overcome these problems in traveling online pharmacy is the right choice to over the muddle. Here you can get the pain healer or pain treatment at once. To relive pain, one the best treatment is Tramadol. Tramadol is used to treat moderate to severe pain. Usually tramadol hcl 50 mg tablet is used for the most common pains. Tramadol extended-release is used to treat moderate to severe chronic pain when treatment is needed around the clock. Take tramadol exactly as it was prescribed for you. Do not take it in larger doses or for longer than recommended by your doctor. To buy online tramadol Tramadolbluebook is the right choice. It is the Best Licensed Online Pharmacies web site that you can visit to acquire information about Tramadol medicine. It is founded by a medical doctor in 2006 to help consumers safely save money on pain relief drugs. Here their service is available online 24 hours a day, 7 days a week. Here you can get tramadol tablets – bluebook. Tramadol tablets are available in a few different varieties. To get more information about tramadol you can contact the support team, they would certainly get back in very short time to you with all information that you may need.